Bolner’s Fiesta Brand Chicken Rub is a flavorful blend of paprika, garlic, onion, lemon and spices which highlights and enhances the natural flavor of your favorite cuts of chicken. If you are tired of hearing the phrase “tastes like chicken,” then reach for a jar of Bolner’s Fiesta Brand Chicken Rub. 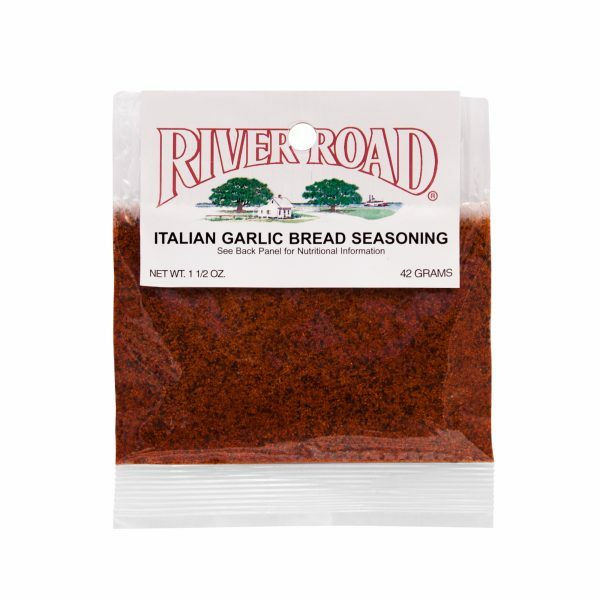 This seasoning blend is like nothing you’ve ever tasted before – a delicious blend of salt, paprika, garlic, onion and spices, this seasoning brings out the natural flavor of chicken in a unique and mouth-watering way. To make the most of this seasoning, sprinkle it liberally over fresh chicken and let rest for 30 minutes before cooking over high heat. If you want to try something new, combine Bolner’s Fiesta Brand Chicken Rub with flour and roll cuts of chicken in the mixture before frying. 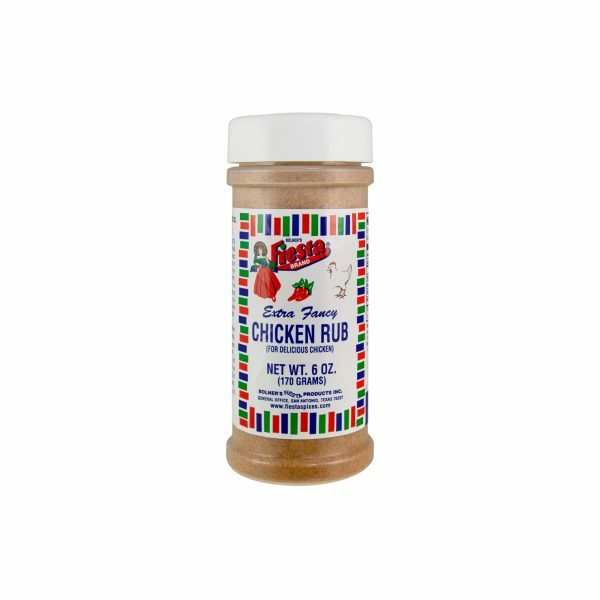 After trying Bolner’s Fiesta Brand Chicken Rub for the first time, you will know what chicken really tastes like. 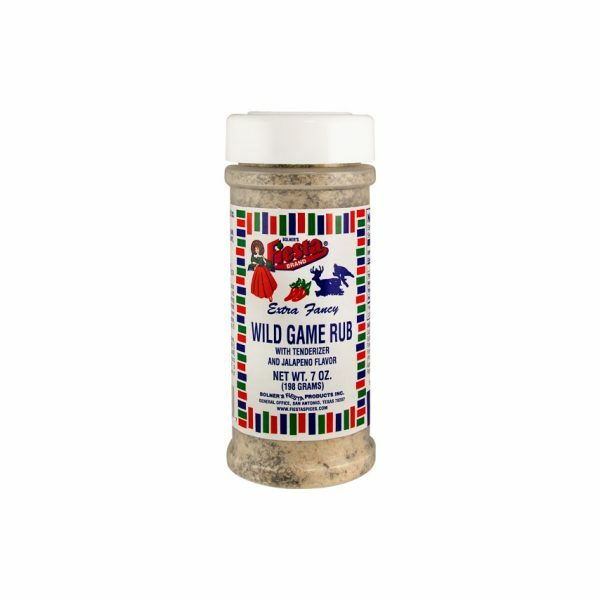 Sprinkle Bolner’s Fiesta Brand® Chicken Rub 30 minutes prior to cooking or refrigerate up to 24 hours for maximum flavor development. Cook over a hot charcoal fire until done (internal temperature of 170 degrees F). Flavor hint: Chicken can be baked or roasted in a hot oven. Chicken can be rolled in flour and deep fried. Salt, Monosodium Glutamate, Spices, Garlic, Onion, Rice Flour, Sugar, Lemon Powder [Sugar, Concentrated Lemon Oil, Citral and Silicon Dioxide (Free-Flow Agent)] and Butter Flavor (Corn Starch, Modified Tapioca Starch, Dextrose, Gum Arabic and Artificial Flavor). Amounts per Serving: Calories 0g; Total Fat 0g (0%DV*); Sodium: 200mg (8%DV); Total Carb 0g (0%DV), Protein 0g. *Percent Daily Values (DV) are based on a 2,000 Calorie Diet.